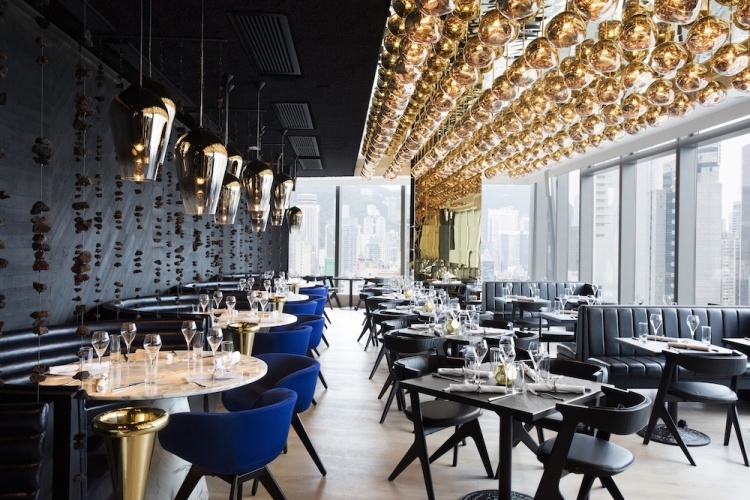 Tom Dixon Design Research Studio (DRS) has designed the interiors for Alto, a new grill restaurant in Hong Kong. The restaurant is the studio’s first project in Asia, and has used the concept of the four elements – earth, air, fire and water – throughout. 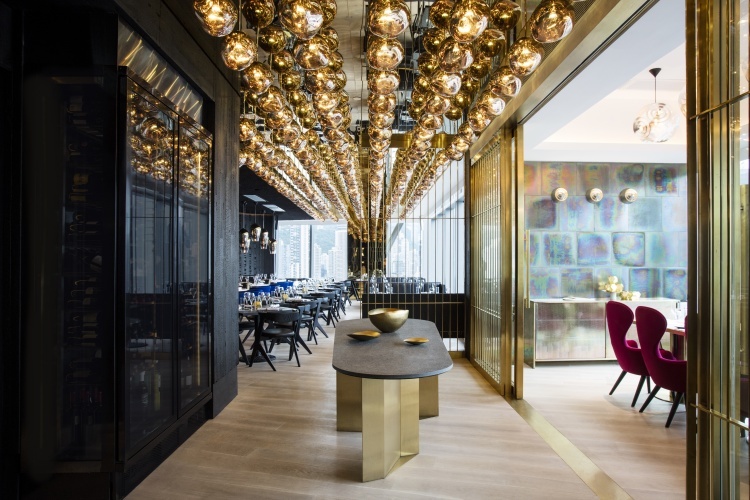 Fire is conveyed through the use of 230 gold mini Melt lights, a Tom Dixon-designed lamp, alongside blackened timber table tops and benches, and brass fixtures. The use of green marble and terrazzo stone indicates earth, while air is conveyed through the use of furniture with perforated surfaces. The Scent Elements candle collection is also used throughout, which gives off smells associated with the four elements.